There was a time in the music industry when performing live just wasn’t as big a deal as having a humongous hit record. The money and the fame were in album sales and radio and video airplay. Touring was more an afterthought and was mostly done by artists who genuinely wanted to connect with their fans on a more visceral level. 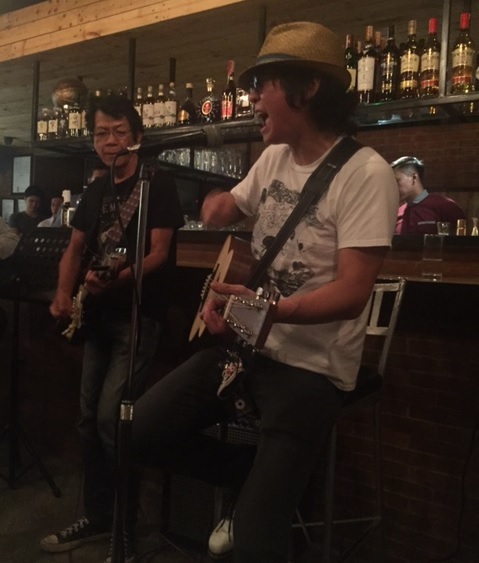 Now, the landscape of music has evolved so much that releasing an album, particularly for Western artists, is simply a prelude to going on a concert tour. A new record is basically just new material to perform in front of a live audience. And it’s big business. Billboard estimates that the global touring industry is almost at $20 billion annually, the highest it has ever been. Last year Live Nation, the world’s largest tour promoter, reported selling some 25 million concert tickets worth $25 billion in the United States alone. The top acts were One Direction (gross: $290 million), Justin Timberlake ($204 million), and The Rolling Stones ($143 million). I suppose one can argue that the market just isn’t as big enough here in the Philippines for a proper multi-city, multi-date tour. There are other uncertainties as well: are there enough venues? Will people come? And, perhaps most important of all, are the returns even worth all that stress and aggravation? One artist is attempting to answer these questions. Clem Castro, a singer-songwriter perhaps best-known for his work on the band Orange and Lemons, has announced a mind-bending, four-month, 44-city tour that will take him through practically the entire archipelago. Naming it The World Is Your Oyster Tour, Clem is doing it partly to promote his debut solo effort as his alter-ego Dragonfly Collector. Just looking at the schedule has got me dizzy: he’s actually starting this week in his home provice of Bulacan, followed by shows in Pampanga, Zambales and Tarlac. Then he’s off to the north, to Baguio, La Union, the two Ilocos provinces, before making his way back down through Cagayan, Isabela and Aurora. The tour continues in several other provinces in Luzon before making his way to Samar and Leyte, then down to Davao, Agusan, Cagayan De Oro, and Dipolog in Mindanao. He then goes back up to Cebu, Bacolod, Iloilo, Capiz, Aklan and Batangas before finishing in Puerto Princesa in Palawan in early December. The most unbelievable thing is, he’s doing it on his own, DIY style (well, fresh indie-folk talent Ian Penn will be with him the whole time), which means he’s taking public transportation through land and sea from one city and province to the next, with barely a day or two of rest in between gigs. Is he crazy? Maybe. But I’d argue that if he is, it’s in the very best sense of the word. I don’t think any local artist has ever attempted a tour schedule of this magnitude, and the fact that Clem is pioneering it can only mean he’s serious about his craft. No one would willingly live out of a backpack for four months, play gigs almost every night, in front of a wide spectrum of people, some of whom have probably never even heard of him, if he wasn’t totally committed to the art of performing. Plus, he already said he really, really wants to travel. “After this, I also want to encourage other artists to tour so I’m kind of forging a path,” he said. 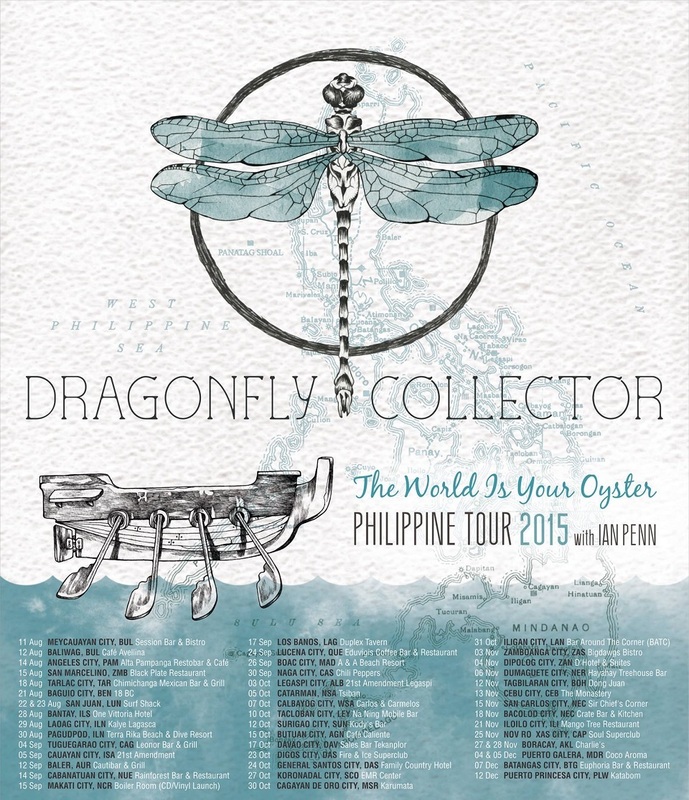 For a complete list of Clem’s the World Is Your Oyster Tour dates, venues, and ticket prices, visit the Facebook event section of Dragonfly Collector and his official site at dragonflycollector.com.